Fall semester of my senior year of college has officially ended. Finals are over! Hallelujah! So glad to be on Christmas break now and can relax and enjoy myself. Just kidding-back to work and blogging full time for me! Anyway, today I am feeling very cool and sleek in this look. 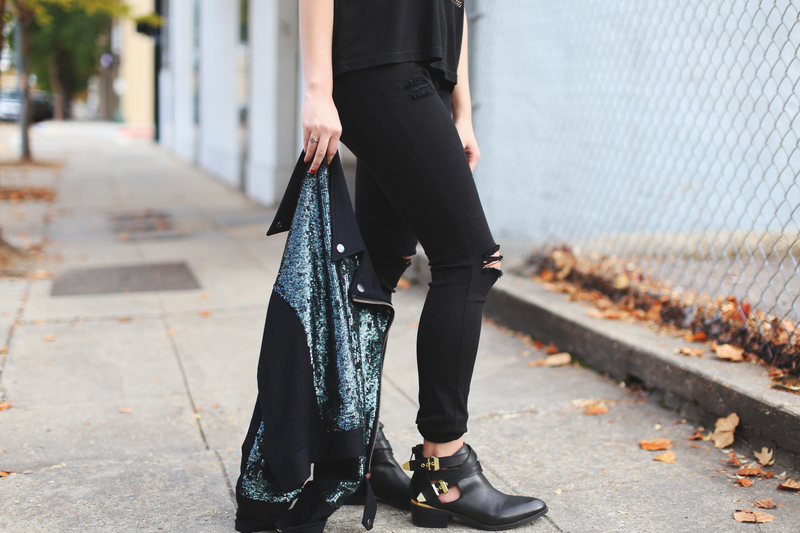 I paired my typical ripped black jeans and buckled booties with this black mesh top I found at Maven Womenswear and my go to sequin jacket from Chaser Brand. 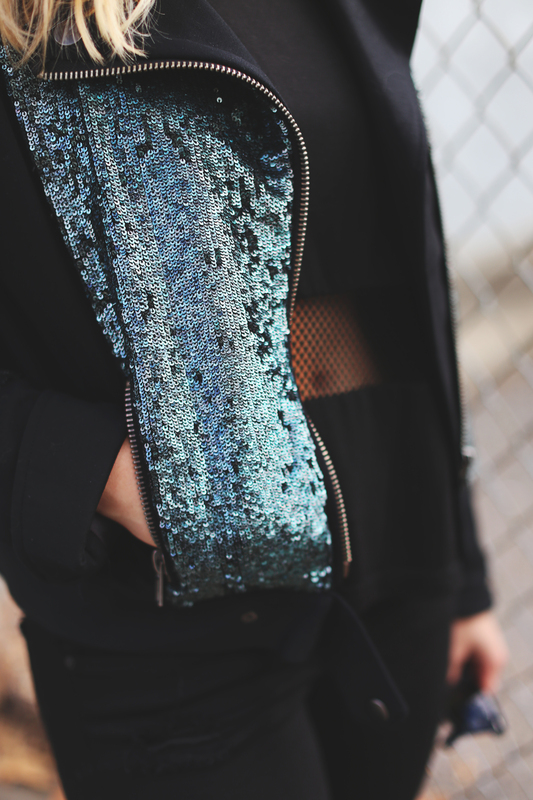 I thought the mesh was edgy but didn’t show too much skin for a stylish look! 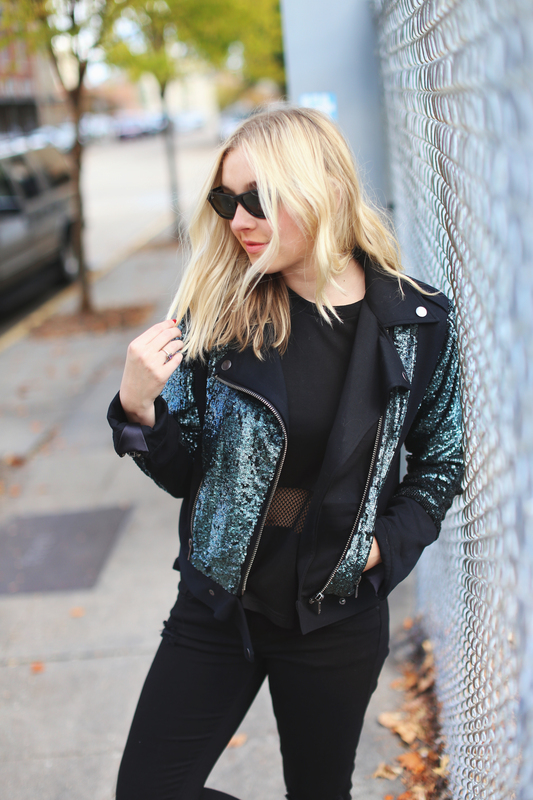 Do you like?And aren’t the sequins amazing on this jacket? Its heavier than you may think, but the silk inside lining and thick material make this coat so warm and really comfortable! More than anything I love the intense detailing and texture it gives in the pictures!